If you are like me and you have several children, holidays in the school holidays can be a little bit expensive. However, the price I’ve paid is always worth it when I see my kids smiling and having fun. There are plenty of choices for holidays when you have a family. Some are close to home while others can be exotic destinations overseas. Holidays can be a once in a lifetime experience, or something that you like to repeat year on year, like a tradition. Whatever you choose this year, you can always ensure the children have a great time. Big international theme parks like Disneyland are certainly the kind of destination all kids would love for a holiday. Don’t let the thought of a long haul flight put you off. Most children are very well behaved on an aeroplane, and the in-flight entertainment keeps them going for hours. You can choose to stay at the theme park for a premium or do what most families do – hire an apartment nearby for a week. That way you can make the most of your visit to America and see some of the other key attractions in the area as well. Hire a car to maximise your stay. Holiday parks in the UK continue to be very popular. Those in Scotland are also proving themselves as excellent family destinations. There is so much to do that takes advantage of the gorgeous environment the park is situated in. Teach the kids to fish, or try out some kayaking. 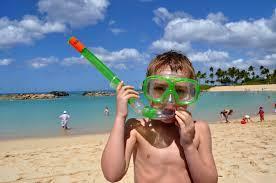 The outdoor activities available are extensive, so this kind of holiday is perfect for an active family. The best bit is the accommodation. The children will find the concept of a static caravan as the most exciting part of the holiday. You benefit from very comfortable accommodation right in the heart of stunning landscapes, and not a camp bed in sight! City breaks in Europe offer children the chance to learn a smattering of a foreign language, and to sample some foreign cuisine. You can also take them to see some of the most incredible iconic buildings in the world. Places like Paris for the Eiffel Tower or Pisa for the ‘Leaning Tower’ also offer opportunities for a quick history lesson. You can immerse yourself in the culture, or let the kids take on their own self-discovery of the place you visit. The great thing about visiting a European city is that they are all so easily accessible. Take the train through the tunnel, or even a noisy hovercraft to give the kids something else to get extremely excited about! Taking a cruise is the sort of thing you may think only suits middle aged couples. 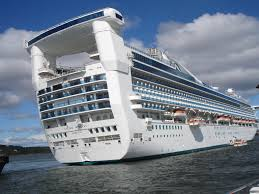 The cruise industry has shaken things up a lot recently and are now running liners that are meant for all the family. With kids’ clubs on board, water slides and rock climbing walls, you can imagine your children being entertained for a fortnight quite easily! The best thing about a cruise is probably the food. With up to a dozen different places to eat and food on offer twenty-four hours a day, there really is something for everyone on-board. Whatever you decide to do with your family this half term, make your holiday travel plan simple by doing some careful research, checking and reading reviews. It does not need to be extravagant or cost the earth…spending time enjoying each others company is all it’s really about.